Just a typical winter day at the office for this set of twenty plus Bull Elk that have beded down in Horseshoe Park. It's easy to forget how difficult it can be to survive a winter in Rocky Mountain National Park. After the Elk Rut and mating season are complete, The Bull Elk will once again congregate together and often be found roaming Rocky Mountain National Park in herds. 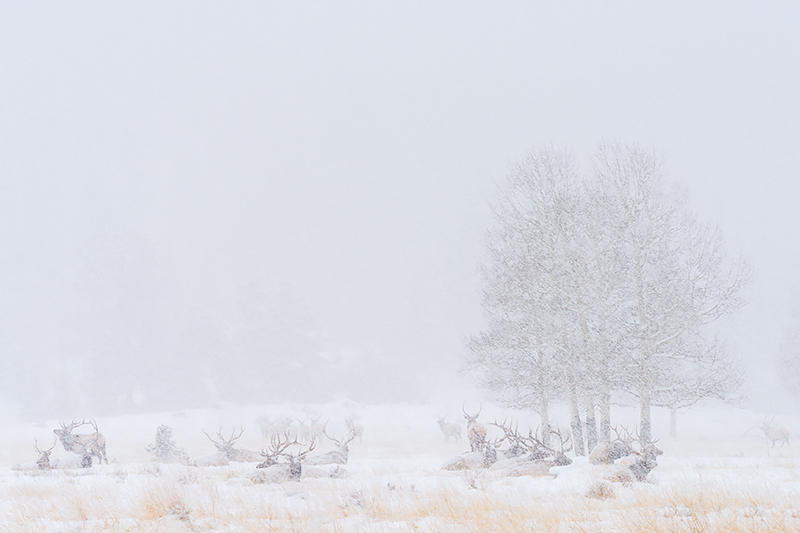 Finding this large of herd of Elk waiting out a February snowstorm made for an impressive sight. Photo © copyright by Thomas Mangan.